The world’s largest conference, the GSMA Mobile World Congress is an event featuring prominent leaders representing mobile operators, device manufacturers, technology providers, vendors and content owners from across the world. The event also has a huge part of exhibition for the mobile industry where few companies book a spot to put up a booth and attendees can visit them personally. The GSMA Mobile World Congress first occurred in 2009 February. In 2011, Barcelona, Spain was chosen as the “GSMA Mobile World Capital” and continue to be the venue of Mobile World Congress through 2023. Every year the number of attendees increases at a great speed and to be precise there were 108,000 participants from 208 countries in the year 2017, 27 February – 2 March. More than 2,300 companies participated in the 2017 exhibition where everything from connected cars, virtual reality, new handsets and ingenious app ideas, to 3D printing, privacy protection and backend solutions were on display. There are more such events with a different vision, each associated with the Mobile World Congress. 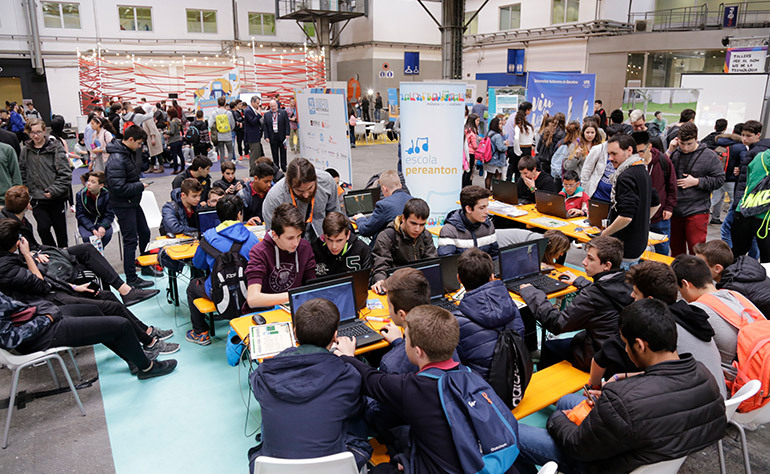 Like, YoMo, the youth mobile festival for kids from 11 -16 years teaching about careers in Science, Technology, Engineering, Design/Art and Math (STEAM), with the hopes of encouraging them to pursue careers that will lead them to the mobile industry. The Women4Tech event focussed on inclusion of women in the mobile industry heading towards female leadership. 40 game-changing products, services, devices, apps and technologies were awarded Glomos at the Global Mobile Awards. Every summer there is an industry event in Asia Mobile World Congress Shanghai which just took place on 28th June – 1st July 2017. With the current success GSMA announced Mobile World Congress Americas will make a debut on September 12-14 2017 in San Francisco to bring an extension of the event to North America. It is expected that nearly 30,000 professionals and 1,000 exhibitors from across the mobile industry will be present at the event. Under the theme “The Tech Element”, it will highlight innovation in areas such as 5G and next-generation networks, the Internet of Things (IoT), and the intersection of mobile with entertainment, content and media. TechAhead is glad to announce that we are one of those exhibitors at Mobile World Congress Americas. With more than 8 years of experience, we have created mobile apps for clients ranging from Fortune 1000 organization to Startups across the globe. There are more than 1 Million users actively using apps built by TechAhead. We are a leading mobile app development company and will be presenting our services to you at Mobile World Congress Americas. If you are looking for the right app development partner, drop us a line at sales@techaheadcorp.com to book an appointment with our representatives at MWC Americas. At Mobile World Congress Americas, find your right mobile app development partner.